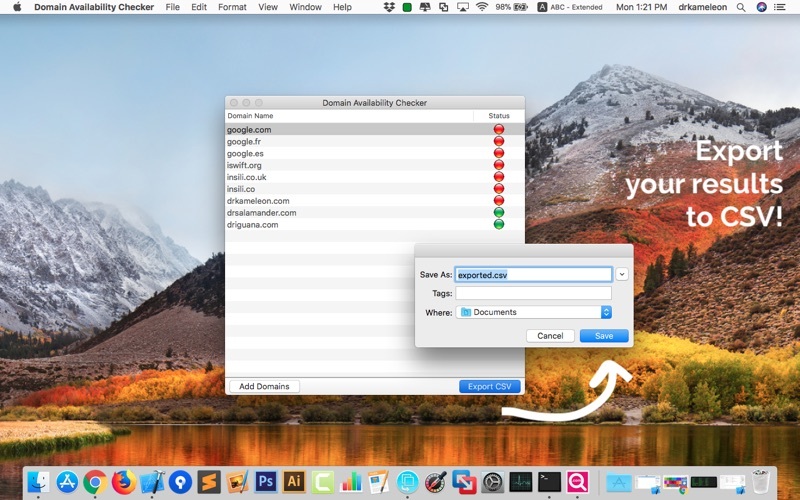 The Best Bulk Domain checker, for your Mac! 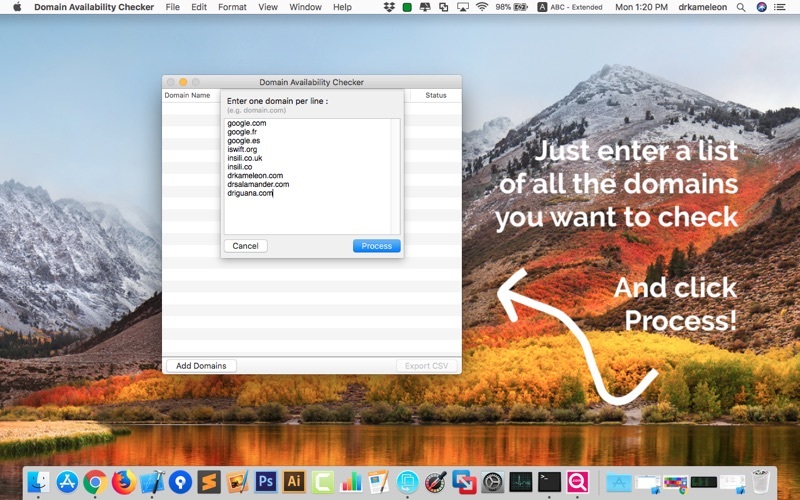 Quickly check if a list of domain names is available for registration, among many many different TLDs. 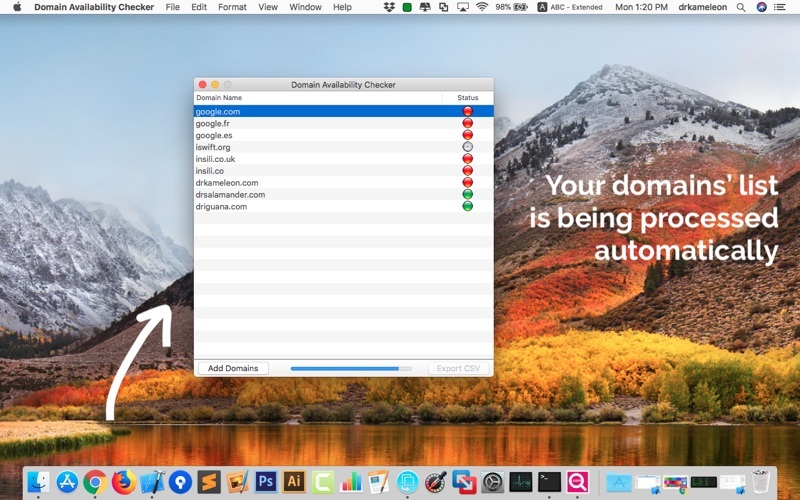 Bulk testing numerous domain names at once, has never been easier!